GTK recommends a nice hiking route this month. 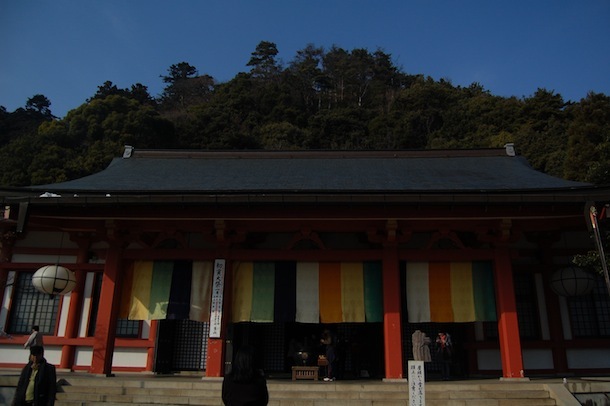 It is recognized as a sacred mountain, in which Yuki jinjya Shrine (由岐神社) and Kurama-dera Temple (鞍馬寺) on the way to the summit. You can get there from Kurama Station on Eiden line, just a few minute-walk from the station. 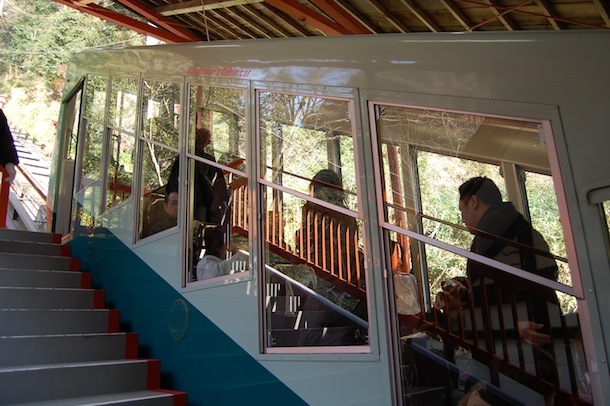 The cable car is available to Tahoto Station in the middle of the mountain, but GTK recommends you to walk up on your own legs, of course. 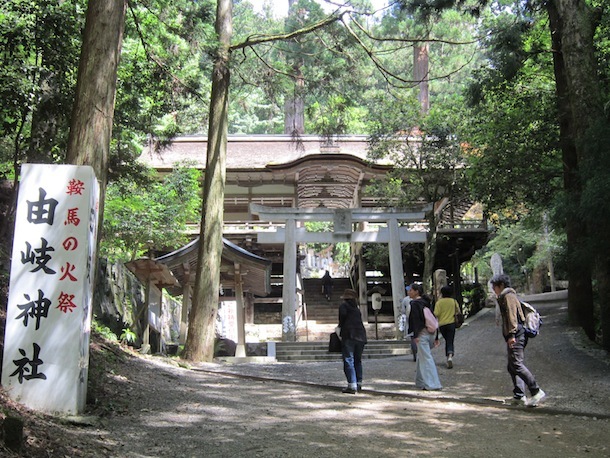 The car pass through Yuki jinjya Shrine, so you have to come back a little if you take a cable car. 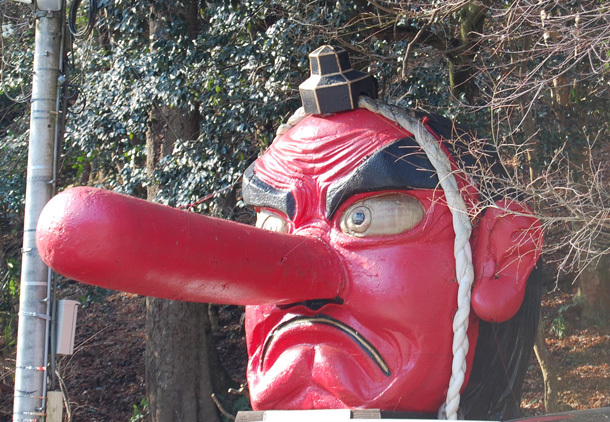 Mt.Kurama is said to be the place where the 12th century warrior, Minamoto no Yoshitune was trained by Tengu, the imaginary creature with a long red nose. 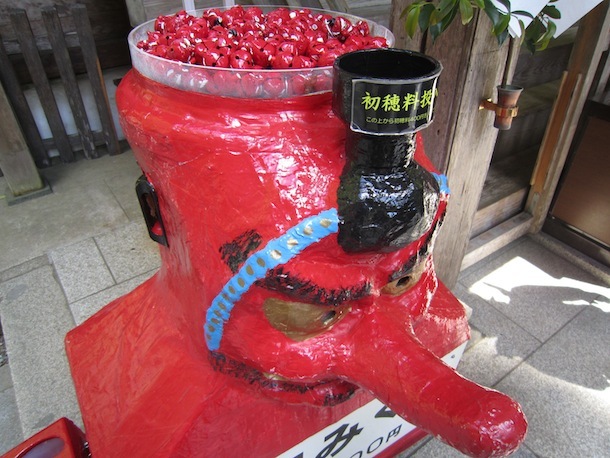 Thus, you can see some statues or souvenirs of Tengu on the mountain. 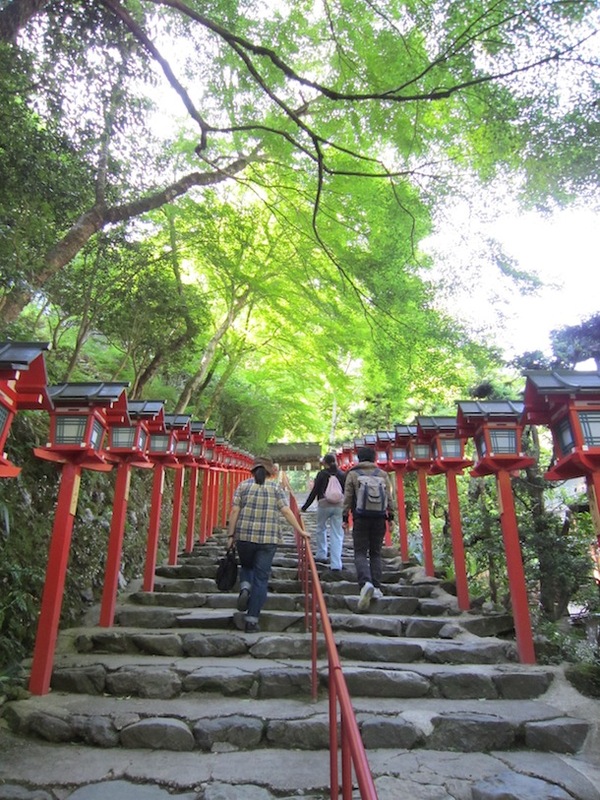 It takes about 1 hour to the summit, passing through Kurama-dera Temple. You can enjoy seeing many spots such as small temples, big cedar tree revered as a sacred tree on the route. After taking a break at the summit, you can go down toward the Kifune area (貴船). 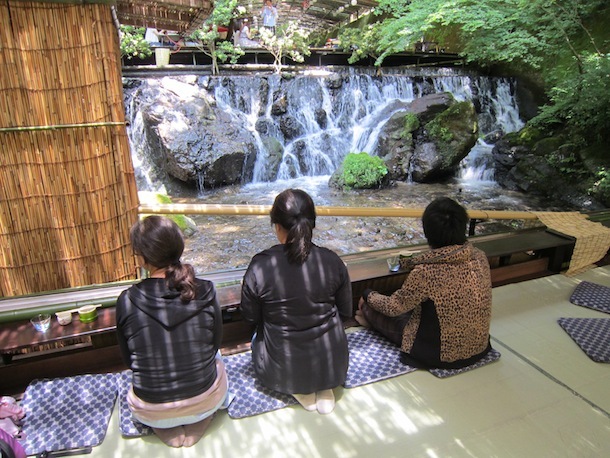 There are Kifune jinjya Shrine enshrining the God of water and many restaurants over the river called Kawadoko (川床) in Kifune. GTK introduces one restaurant Hirobun (ひろ文) serving a Japanese summer noodle, Somen (そうめん). Here you can enjoy a unique style of somen lunch called Nagashi Somen (流しそうめん). The some noodles come flow in the bamboo tube so you have to pick them speedy! That’s fun!! 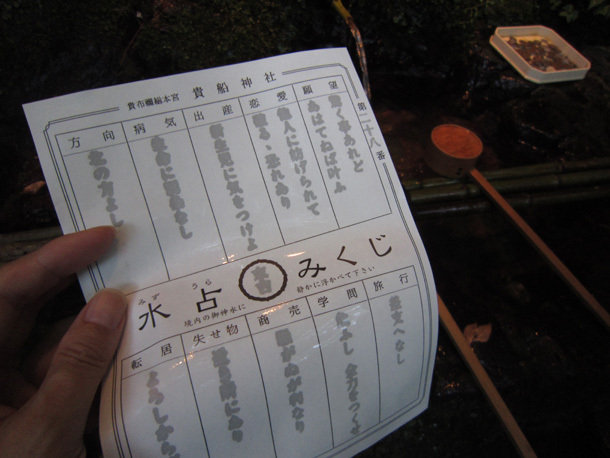 A paper fortune called omikuji at Kifune jinjya Shrine is also fun! Why don’t you try it! The unique event at Kurama-dera Temple, “Yoshitsune Matsuri” will be held on September 15th, 11:00. 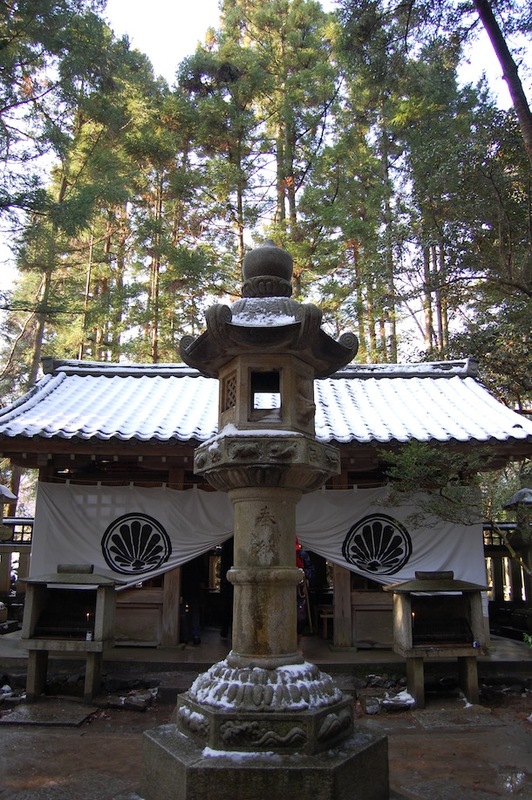 This is the ceremony to remember the famous warrior, Minamoto-no-Yoshitsune in the Kamamura Era, who said to have been trained by Tengu, an imaginary long-nosed goblin in Mt.Kurama. After the ceremony, visitors can see a martial arts performance and budo performance in front of the main hall of this temple.